Mechanicsburg – The one and only appearance of the season by the winged super sportsman at Williams Grove Speedway is coming up this Friday, April 19 when starting time moves to 8 pm. The Lawrence Chevrolet 410 sprint cars are likewise on the program with gates opening at 6 pm on Blazer’s Body Shop Night at the track. Courtesy of Hoseheads.com, the premier sprint car internet website, the first 200 kids ages 12 and under entering the speedway thorugh the main grandstand admission gate will receive a FREE chocolate Easter bunny. To help celebrate the holiday weekend, the Hoseheads.com hoppers giveaway at the gate will begin when gates open at 6 pm however from 6:30 to 7, sprint car drivers Ryan Smith and Cory Haas will be on hand to help hand out the chocolate while also meeting fans. 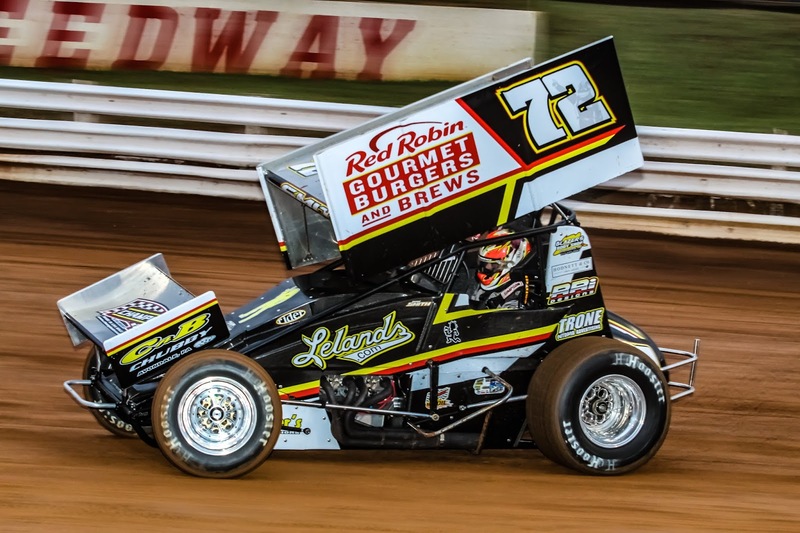 Formerly a regular divison at the track, the super sportsman rarely appear at Williams Grove today thus fans will not want to miss their one and only chance to see the sportsman in action at the Grove this season, on Friday. The sportsman will compete in heats and a 20-lap main paying $1,250 to win courtesy of Blazer’s Body Shop and BMJ Services. Sportsman in action at Williams Grove Speedway on Friday night will be governed by the same rules and specs as those imposed weekly on the division at Baps Motor Speedway. The 410 sprints will race in heats and a 25-lap main paying $4,080 to win on Friday. Blazer's Body Shop is located in Dillsburg, Pennsylvania and serves customers in York, Adams, Cumberland, Dauphin and Perry Counties. Blazer’s offers highly-skilled car repair technicians to get your vehicle back on the road in no time, ensuring that repairs are done right. Learn more about Blazer's Body Shop by visiting their official website at www.blazersbodyshop.com. Coming up on April 26 at the oval, the HJ Towing and Recovery 358 sprints will make their season debut along with the 410 sprints. The supers will race in the first Yellow Breeches 500 event of the season on April 26 with the feature paying $500 just to start. And then May 3 will find the Lucas Oil ASCS National Tour 360 sprints and the URC 360 sprints combine as the second running of the Eleven Oaks Farms Battle Of The Groves takes center stage. The Battle Of The Groves event at Williams Grove will pay out a total purse of nearly $20,000 for the ASCS/URC 360 sprints 25-lap main event. To be carried on MAV TV, the event will pay a hefty $4,000 to win and $400 just to start.